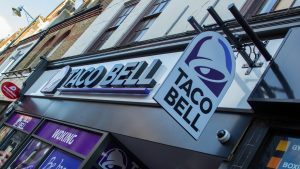 TACO Bell Woking is turning one and to celebrate they are giving away a free birthday burrito to all burrito lovers who are born in September. “It has been a fantastic first year for the team here in Woking and to say thank you for the support and to mark the occasion, we want to throw a banger of a celebration this weekend, with a free burrito for our customers who share a September birthday with us,” said store manager Georgia. This weekend, 8-9 September, the Mexican-inspired restaurant, which opened on 5 September last year, will be extending its birthday celebrations, giving burrito fans who share a September birthday, a free birthday burrito from the popular menu. For vegetarians, the cheesy double melt birthday burrito can be swapped for the bean burrito, so whether you’re a meat eater or a veggie, there will be a burrito that will just be the icing on the cake! To claim a free burrito, visitors to the restaurant on Chertsey Road this weekend simply have to show their ID when ordering their meal.